To be competitive today you need both high productivity and a high return on investment. 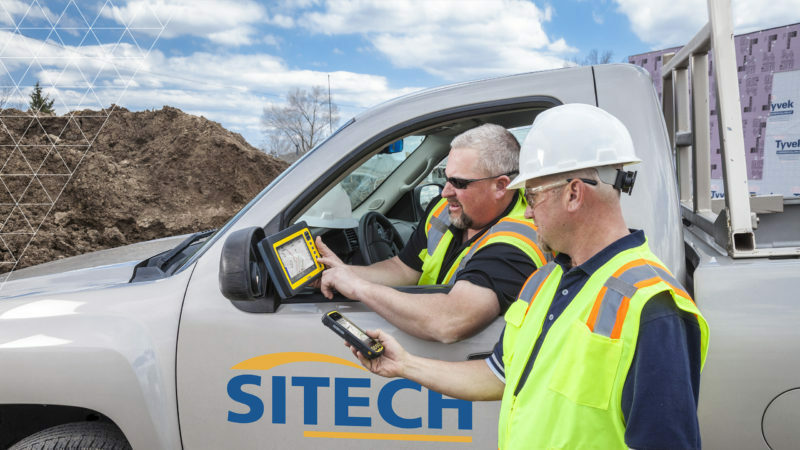 SITECH Solutions is your dealer for the most reliable, rugged and complete portfolio of construction technology systems available to the heavy and highway contractor. The experienced construction professionals at SITECH Solutions will advise you on the right technology for your job and provide you with local customer service, personalised training and technical support. SITECH Solutions has invested in a fully equipped service centre staffed with factory-trained and certified service technicians with years of experience. We have stocked a large inventory of repair parts, which allows us to provide quick turnaround times for most repairs. The team at SITECH Solutions knows how to apply innovative construction technology to effectively solve your biggest construction challenges. We will guide you in leveraging Trimble® and Cat® machine control systems for your entire fleet of heavy equipment, along with Trimble’s complete portfolio of Connected Site™ solutions—Site Positioning Systems, construction asset management software, and powerful wireless and Internet-based infrastructure.